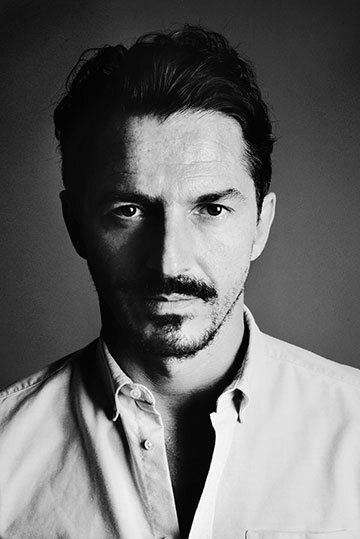 Jêrome Coste is a self-confessed daredevil and Parisian designer who, after finishing an applied arts degree, followed the call of the wild to California to work for JT Racing. Searching for the ideal crossroads for his sport and design passions, Coste created both HOLD-UP and DEEP, a skate brand and graphic studio respectively, before creating the Ateliers Ruby with the help of ex-skate pal Jean-Etienne Prach’s business panache. 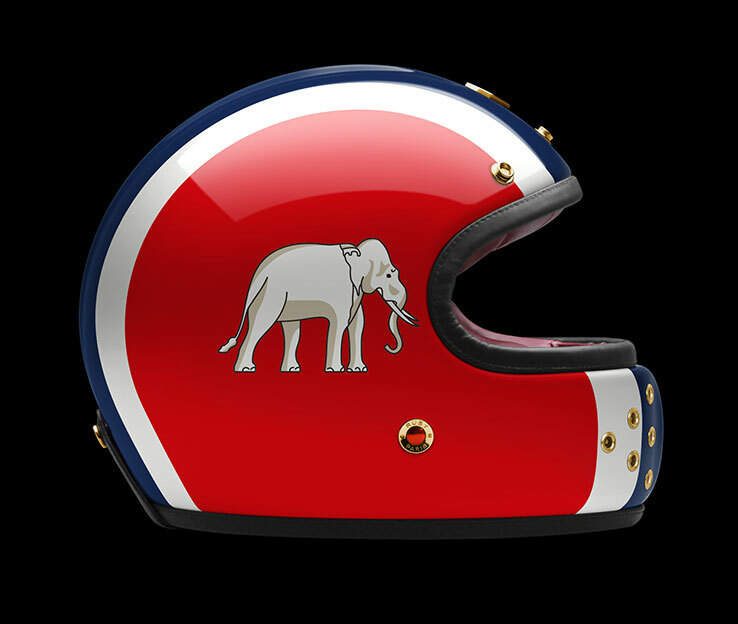 Today Ruby continues to develop and refine the world’s finest helmets for all wheeled sports, from automobile to bicycles, with an emphasis on lightweight, beautiful helmets that stand alone as design objects. 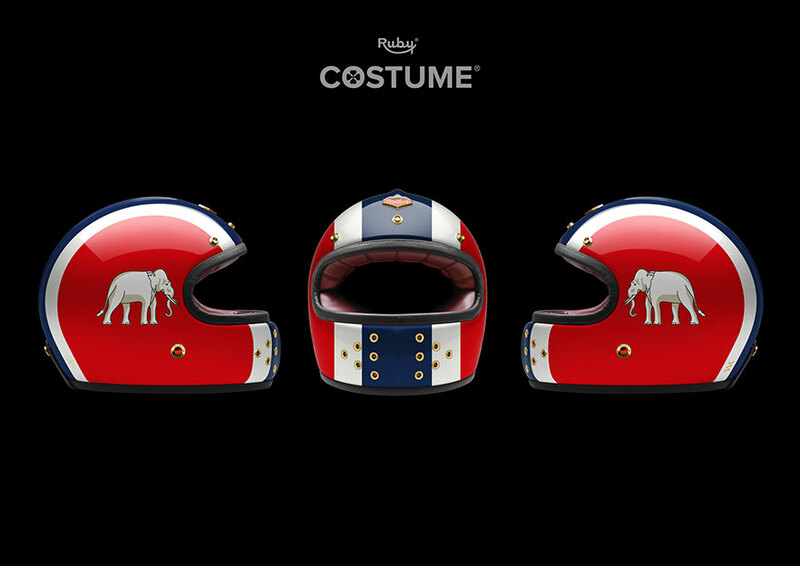 Demonstrating the bespoke “costume” service of Ruby’s helmet personalisation, the Castel helmet in carbon fiber is decorated with an epic culture clash across its polished surface; the bold bleu, blanc, rouge stripes of the French flag meeting Thailand’s favourite Asian elephant. 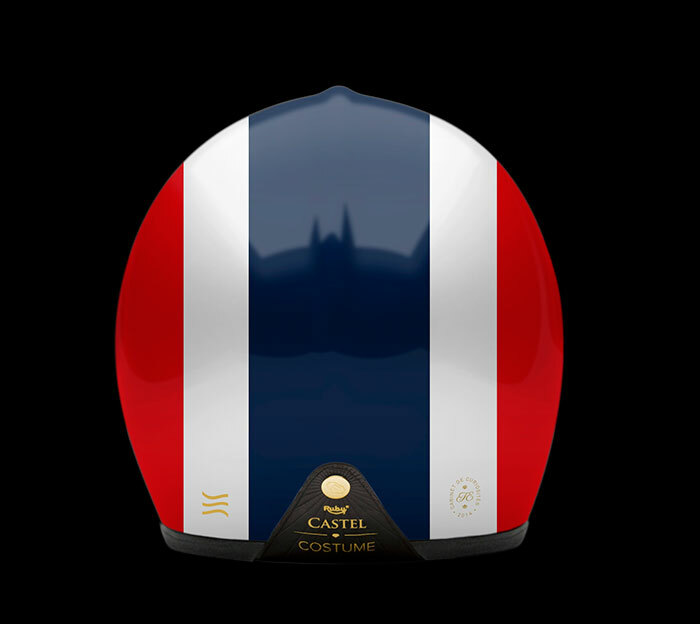 The “Castel” is lined in luxurious nappa lamb leather and designed to be worn with glasses, and is Ruby’s first full-face helmet launched for their 5th anniversary in 2012.